Franz Krommer's appealing String Quintet in B flat Major, Op.100 No.2 was completed in 1819. Like so much of his music, it is full of catchy melodies, unusual use of rhythm and original touches, which make it easy to see why his music was immensely popular during his lifetime and was known throughout Europe and even as far away as the United States. The first movement, an Allegro vivace, begins with a unisono march-like short introduction before the first violin states the lovely vocal main theme which is played over this accompaniment. There follows a conversation between the first violin and the cello. Several surprises with dramatic episodes and Mozartian touches in the violas. The second movement, Andante, has a simple melody and clothed with a jaunty accompaniment in the lower voices. The arresting, unisono pounding rhythm in the Minuetto, allegretto which comes next immediately captures the listener's attention. It is bright and in the major while, the contrasting trio section is in the minor. In the finale, Allegro moderato, once again, Krommer's unusual use of a syncopated rhythm immediately brings attention with it. The main theme could have been written by Mozart himself. In fact, the whole movement is a kind of tribute to Wolfgang. 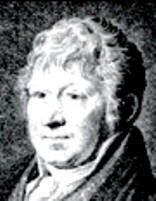 Franz Krommer (1759-1831) was born in town of Kamnitz then part of the Habsburg Austrian Empire (today Kamenice in the Czech Republic) A violinist of the first rank, he moved to Vienna in the 1780's and became was one of its most successful composers by the turn of the 18th Century. According to several contemporary sources he was regarded with Haydn as the leading composer of string quartets and as a serious rival of Beethoven. Such was the universal high regard in which he was held that he was appointed Court Composer (Hofmusiker) to the Emperor, Franz I, an enthusiastic quartet player. He was the last composer to hold this august title and one of his duties was accompanying the Emperor on his various campaigns so that he could relax in the evenings playing quartets. We have created a brand new edition, the first nearly 200 years, for this deserving work which has been carefully edited by Tomasz Golinski and R.H.R. Silvertrust. We warmly recommend this quintet to professionals and amateurs alike.